Interactions with the daily dogs in my life. The dogs I don’t own but wish I did. What kind of dog should I get? Georgia (L), my in-laws’ dog, and Eden, as puppies. But I am often asked this question, and I hear people asking it all the time. So I thought I’d develop an answer for what I would say, if I had the time and leisure, to someone who asked me what kind of dog they should get. Breed doesn’t matter that much. Dogs are individuals. They may bear certain traits known to their breed, but it’s not a reliable predictor of temperament, generally. We have two purebred German shepherds and they have wildly different personalities from one another. 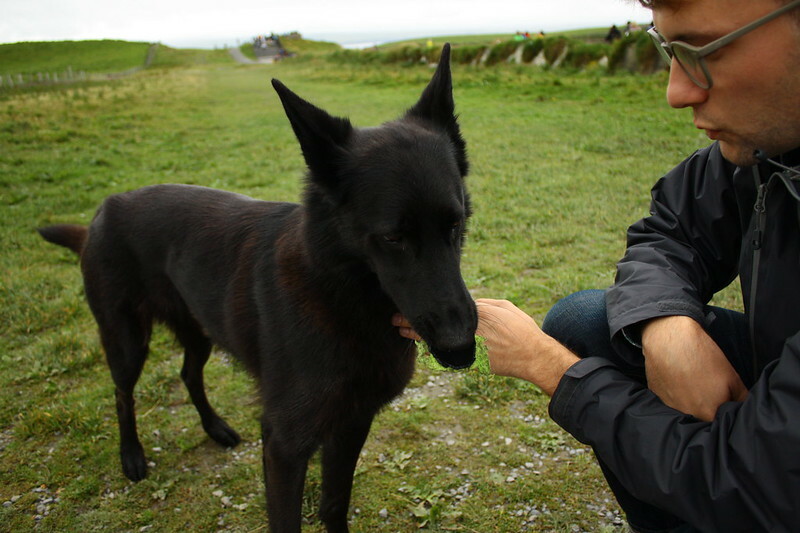 Purebred dogs are pretty screwed up, genetically, on the whole. You can find great breeders who are trying to avoid the generations of inbreeding, but be prepared to pay a pretty penny for such a puppy. Think about your lifestyle and the type of dog that would fit it. Are you a runner? Look for energetic, athletic breeds. Or do you prefer Netflix in the evenings? 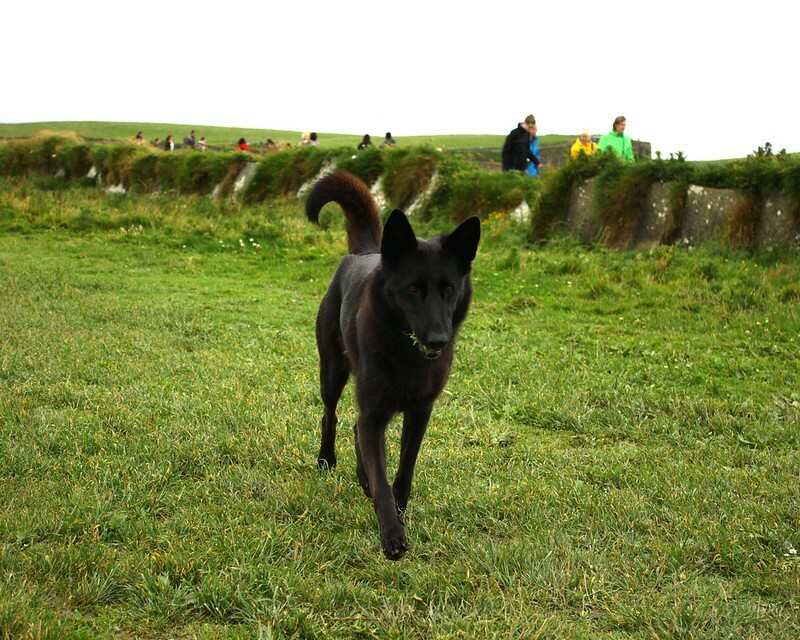 Look for slower-moving, less active dogs. Consider your home, your city, your work hours, and your family. 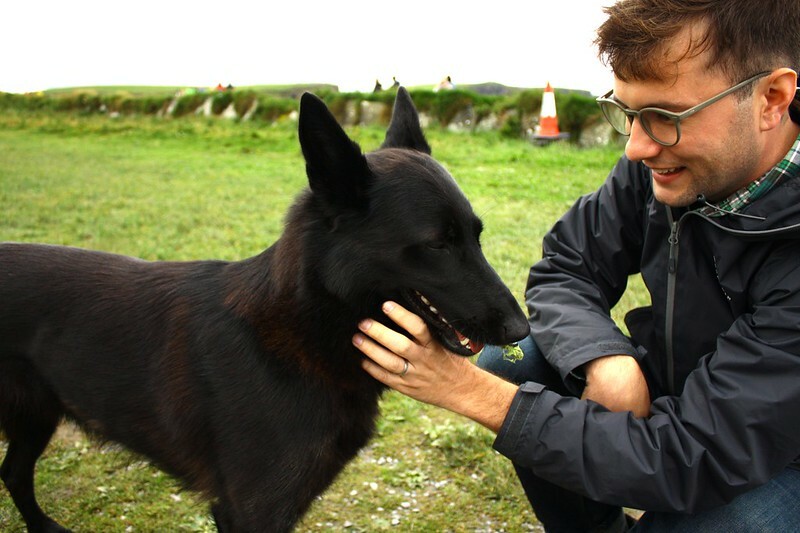 We all develop affection for certain breeds or breed types, but the more time I spend reading about and living with dogs, the more convinced I am that we should stop obsessing about breed so much. We have two purebred German shepherds that we rescued, and while I love them, I wouldn’t recommend shepherds to many people. 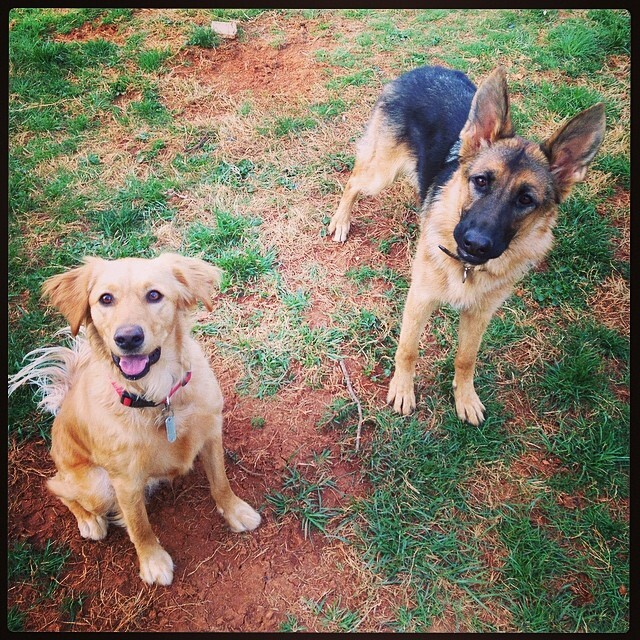 Our girls are very bright, but intelligent dogs are high maintenance and demanding. Shepherds don’t really let you relax a whole lot. They also have a lot of minor health issues that, although not debilitating, are certainly costly on a monthly basis. Georgia might be the perfect dog. Were we to ever get another dog, I’d want one like Georgia, featured above, who is my in-laws’ dog. 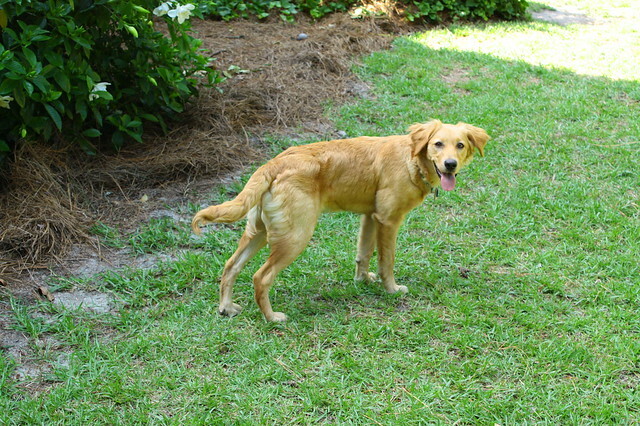 She looks like a miniature Golden retriever. She’s full-grown and about 40 lbs. and has such a sunny, outgoing disposition. She’s healthy and companionable and sweet and she doesn’t give anyone a moment’s anxiety. These are the things that would be important to me in another dog, beyond breed. When you are thinking about a dog, think about the dog’s health and structure before you think about their superficial looks or breed label. 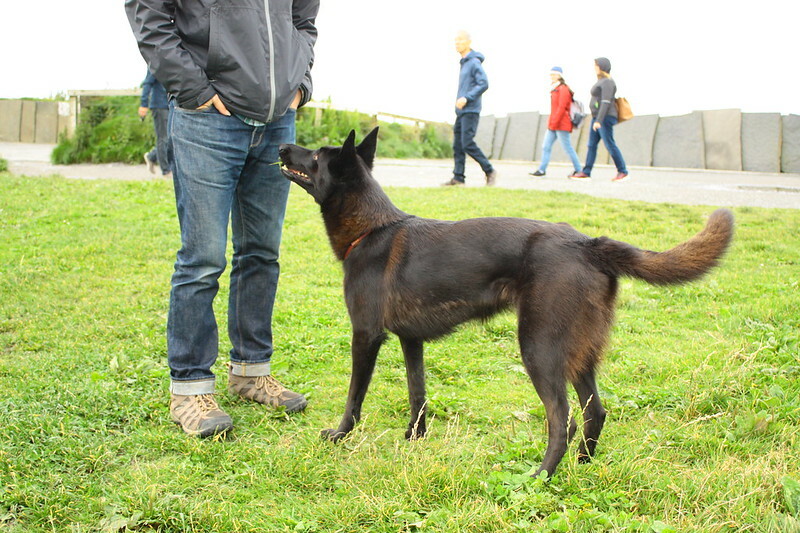 I feel like the goal is to get a healthy dog who looks as much like a generic street dog as possible. Stray dogs in Venezuela. Wikimedia Commons. 20-70 lbs. 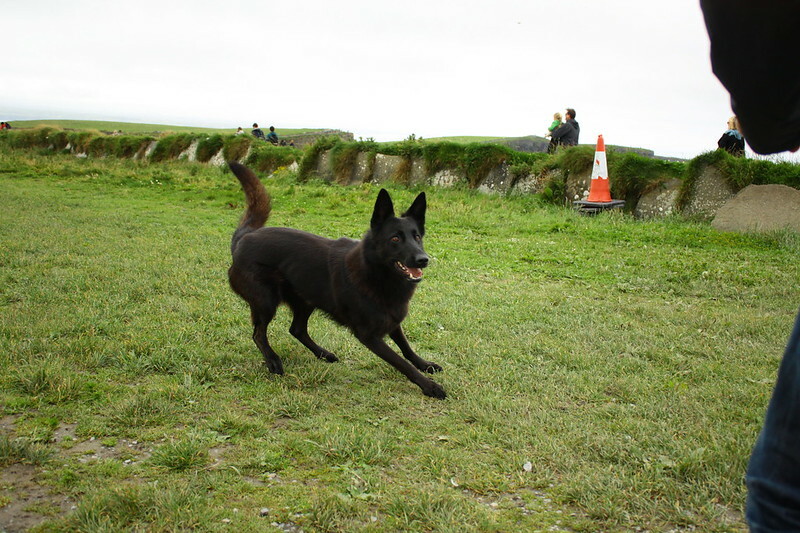 This is a generally safe and healthy range for a dog of any breed or type. When you start straying to the extremes on either end (too tiny or too giant), you start wandering into the zone of unhealthy pups. Yes, dogs who are smaller or larger than this range can be perfectly healthy, but the good rule of thumb is: don’t get a dog who is too tiny or too enormous. Functional ears (no cropped ears). Dogs’ ears should work to help them communicate. Long muzzle. No brachycephalic breeds for me, ever. No skin folds. Don’t get a dog who was bred to have a lot of wrinkles, which serve no purpose and just cause the dog irritation and infection. This means no pugs, no bulldogs, no shar-peis, no basset hounds, etc. Full tail (no docked tails). I’ve always loved Australian shepherds, but the tail docking is totally unnecessary at this point, and it causes dogs a lot of communication issues with their fellow canines. Our Aussie was constantly getting into spats with other dogs, and I think part of it was her taillessness. (For this reason, I’m interested in English shepherds as a solid alternative to Aussies.) Dogs need tails to communicate. Fur capable of hackle-raising. This is something that John Bradshaw brought up in his book In Defence of Dogs, and I admit it’s not one that I thought about before, but being able to raise one’s hackles is another really important canine communication element that we often breed out of dogs. Super-short-haired dogs (like dobermans, whippets, boxers, etc.) are often not able to raise their hackles. No exotic color patterns (all white, merles). All-white dogs can often be deaf; merles and pronounced spots (e.g., Dalmatians) can be blind and deaf. Avoid purebreds that breed for these traits. Proper proportions (no exaggerated limbs, head shapes, eyes, muzzles). No dachshunds, corgis, pugs, bulldogs, bull terriers, French bulldogs, Boston terriers, pekingese, etc. This criterion rules out a lot of “trendy” breeds right now. To sum it up: Think about wolves and think about street dogs. Can your purebred puppy communicate like these dogs? Can it run and jump and breathe normally? If not, think about another breed. There are innumerable mixed breeds that fit these qualifications, and I think we’d most likely obtain our next dog from a shelter or rescue, aiming for a mixed-breed puppy that appeared to meet this criteria. English shepherds. 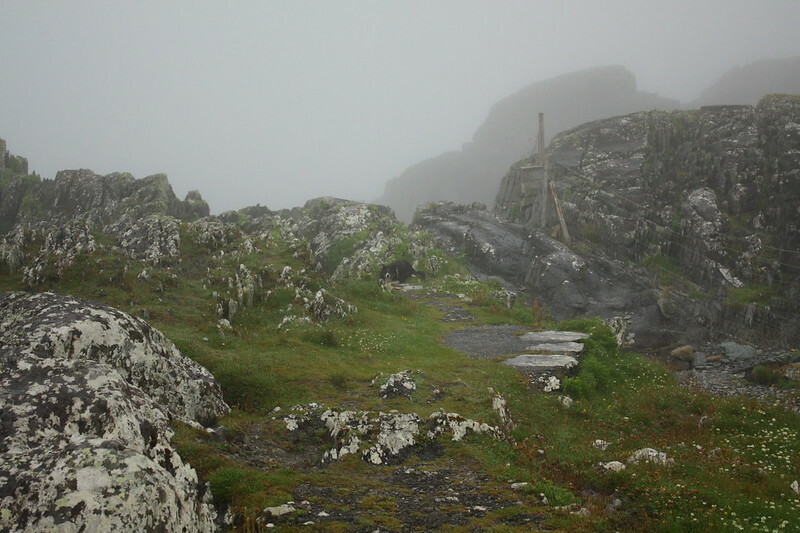 By JulieFurgason at English Wikipedia [Public domain], via Wikimedia Commons. English shepherd. This is the classic British Isles sheepdog. 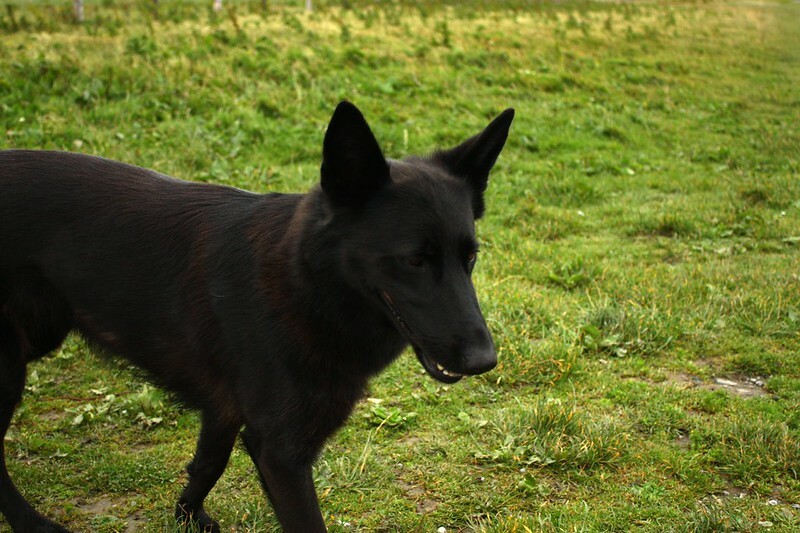 They come in a variety of colors and they are just solid working-type dogs who are neither too large nor too small. A bit like Aussies with tails. Berger picard. I love these scruffy French sheepdogs. Greyhound. Greyhounds tend to be among the healthiest purebreds because they are bred for speed, not necessarily for looks, and there are always plenty in rescues who need good homes. Kooikerhondje. I adore these little Dutch spaniels. Perfect size and rare enough here that they’re not unbearably over-bred. Silken windhound. I’ve always loved borzois, but their look is too extreme (that needle-pointed muzzle), and so an American scientist created her own breed (albeit with the rather goofy name), which is like a mini-borzoi. Her careful genetic analysis has led to some of these dogs living to be as old as 17! What’s on your list of qualifications for a dog, purebred or not? Should you get a German shepherd puppy? 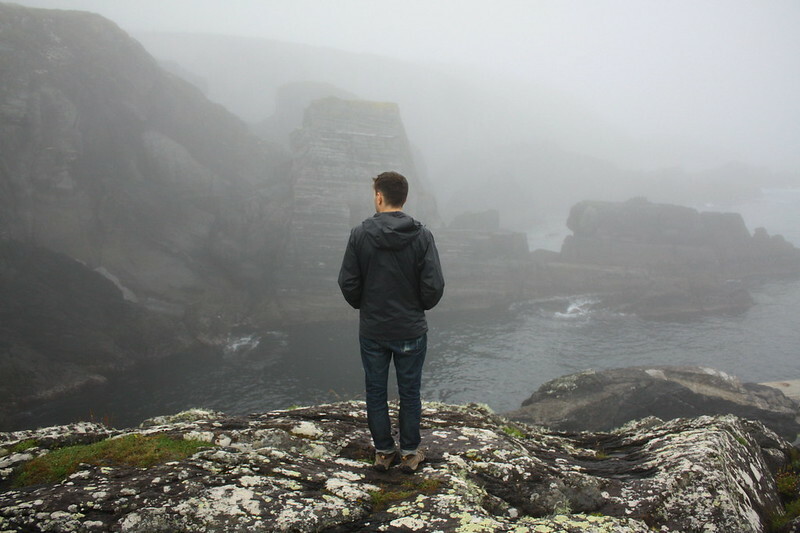 While wandering around Three Castle Head in Ireland this summer, we were venturing among the foggy cliffs when we saw a sudden movement in the rocks. A border collie had crouched down, with a stick in front of her, and was eagerly awaiting our presence and potential to play fetch with her. We weren’t able to get much closer, because a young family appeared shortly thereafter, and the kids were engaged in playing with her, to her intense delight. One of the many enjoyable things from our European summer was how often we ran into delightful free-range dogs like this collie. 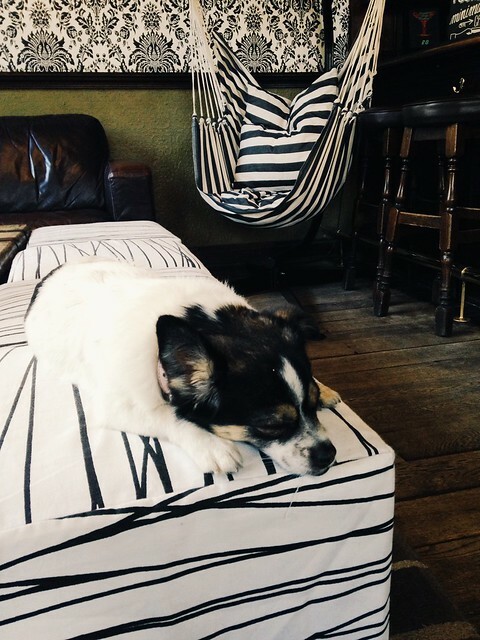 One thing I will really miss about London was the presence of dogs in pubs. 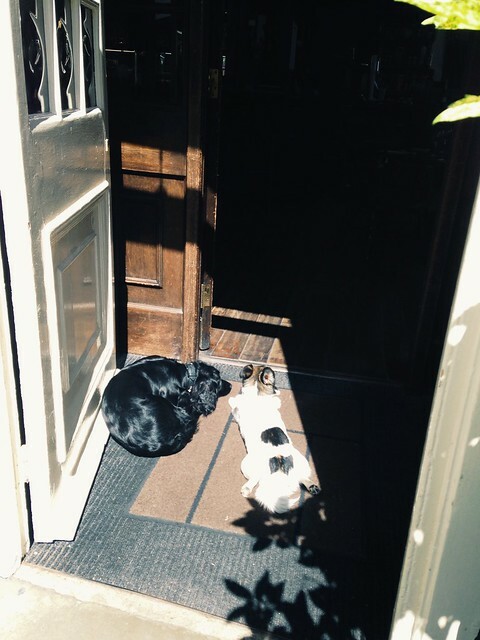 This adorable pair is named Gin (the black English cocker spaniel on the left) and Fizzy (the adorable tiny mix, frog-legging), and they hold court at the New Inn in our neighborhood in London. I love them. Gin and Fizzy took their jobs as pub dogs quite seriously, and they were SO deeply mellow that they almost seemed drugged. It’s kind of adorable how sleepy they seemed to be every time we visited. 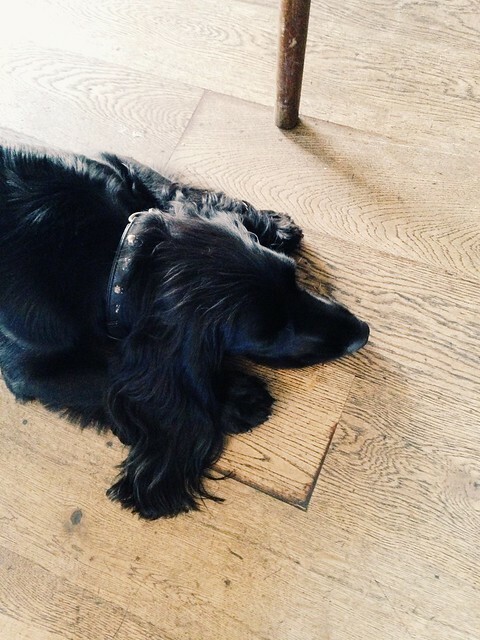 Are there any pubs or restaurants in your area that are especially dog friendly? 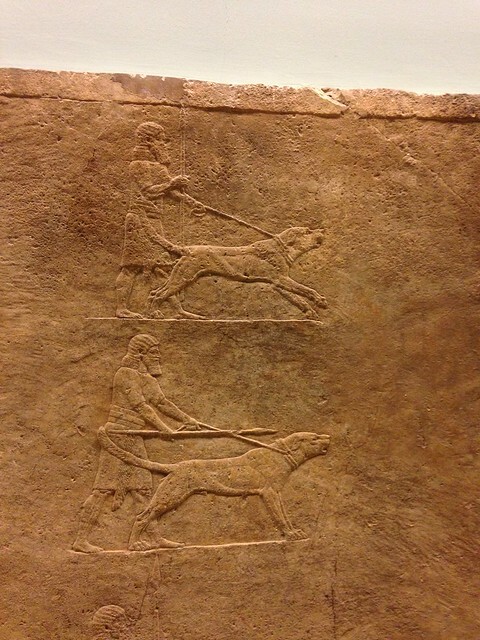 If my memory serves me, these dogs were from a large Assyrian stone mural that showed a royal lion hunt. These big mastiff-type pups were apparently used to track and intimidate lions. 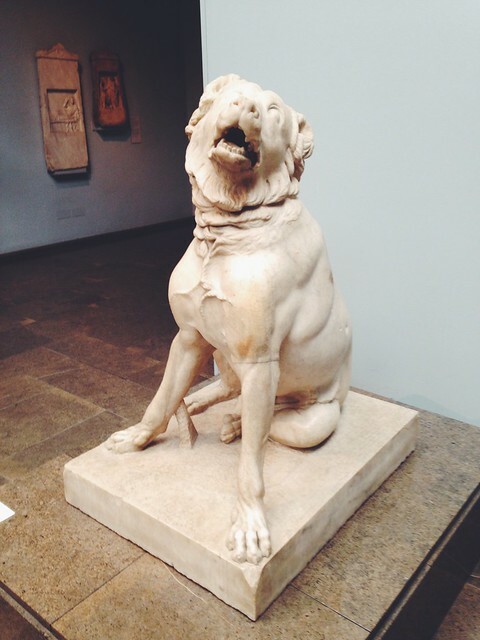 The sculpture is a 2nd-century Roman copy of a Hellenistic original, and a Molossus is a now-extinct* breed that was also very mastiff-like (*although some very misguided people are trying to “recreate” it by making bigger, even more deformed Neapolitan mastiffs). This guy has a docked tail and a very solid build, as you can see, but what a happy face! 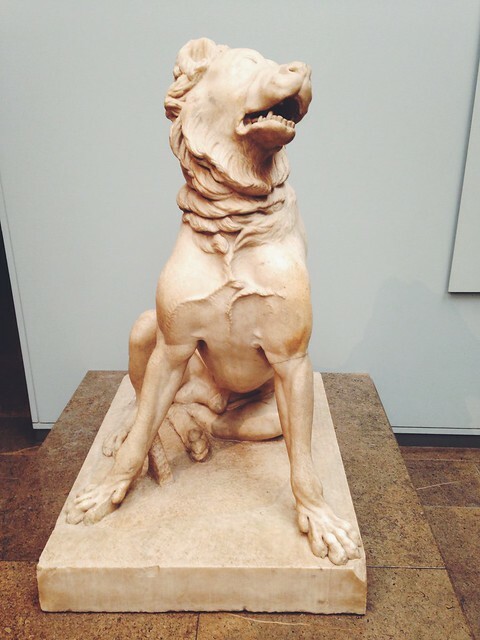 Do you have a favorite depiction of canines in art? 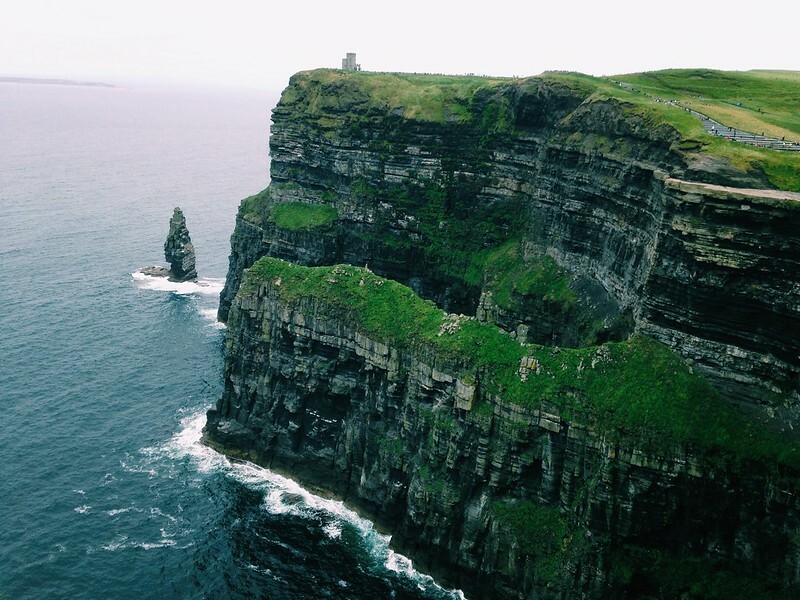 While in Ireland, we got to visit the spectacular Cliffs of Moher in County Clare. After rounding a bend and looking at the watchtower, we were suddenly approached by this spunky, sprightly little shepherd mix. 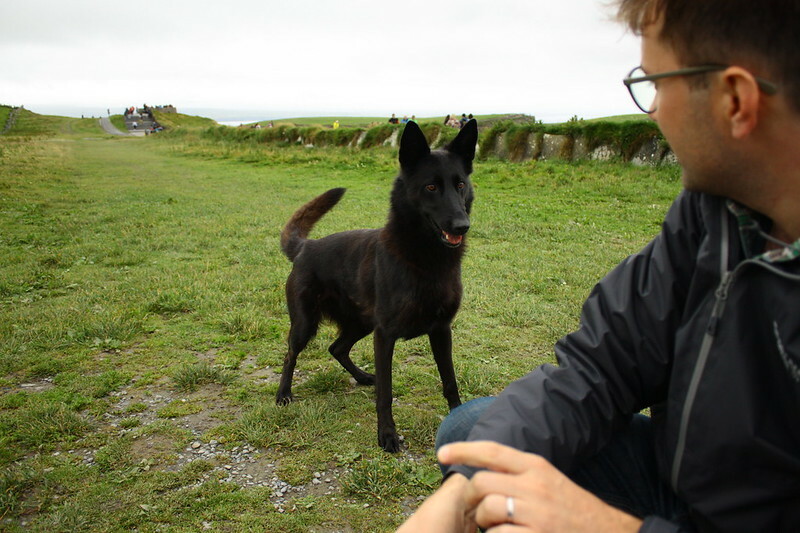 She came running up to us eagerly and had a fragment of a tennis ball in her mouth. We couldn’t resist playing with her for a few minutes. I’m not sure who her person was; I didn’t see anyone around who seemed to be claiming her. 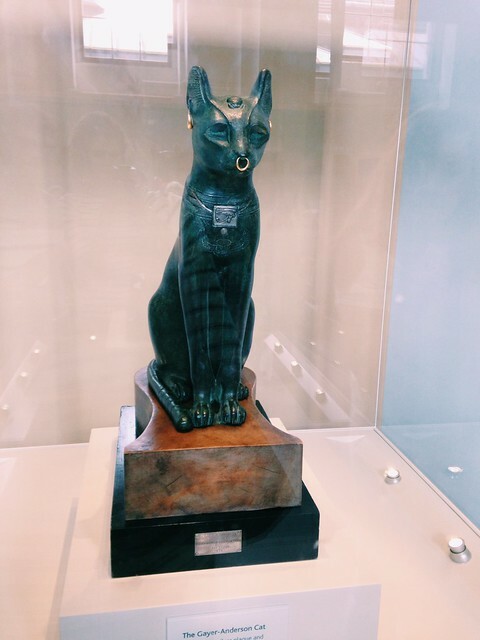 She had a collar on, however, so she clearly belonged somewhere. But she made us laugh and reminded us so much of Eden. 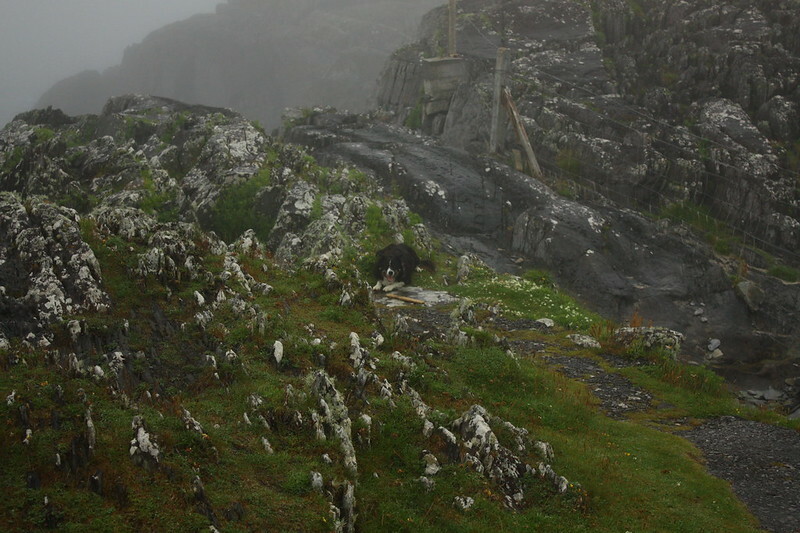 Because this is exactly what Eden would be doing if she were a free-range Irish dog: Stalking around a busy tourist spot, hoping that someone, anyone, would stop to play with her. I love that personality trait so much in dogs: the endless playfulness and energy. Even if it can drive you crazy sometimes, it is so charming to be near an animal who is so full of drive and joy. 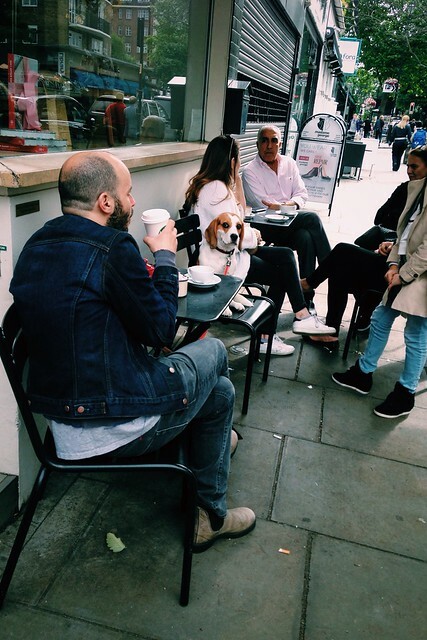 Getting some major side eye from this beagle in our neighborhood in London. He was just enjoying his latté and would like to be left alone, thank you very much. He also seems to prefer to dine in a chair, like a proper gentleman. I saw him again about two weeks after I snapped this picture, and he was at a different café, sitting once more in a chair, looking around with an appraising eye. Not a great photo, but it’s the first time I’ve ever seen a xolo in person! 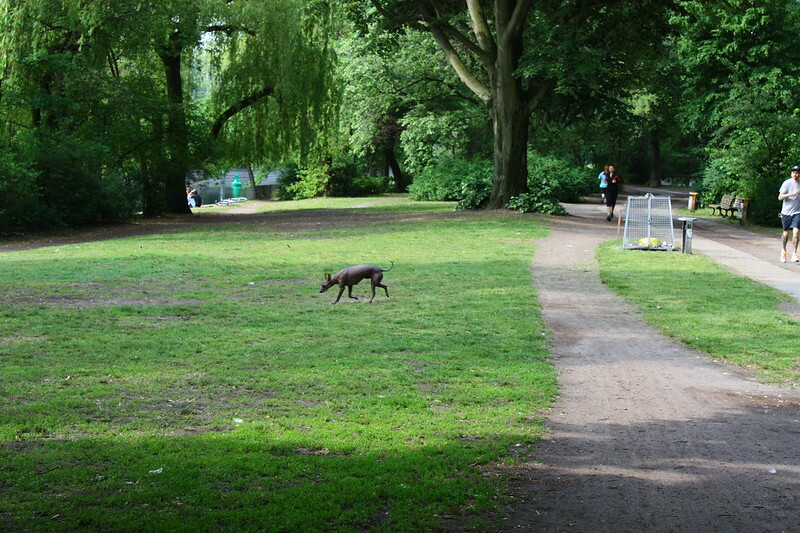 This is a shot of a xoloitzcuintli running around Görlitzer Park in Berlin.